Stud poker is a very interesting and popular game with a short but triumphant history and dedicated fans all over the world. It is played with a 52-card deck and the game starts by placing the initial bet in the spot indicated "Ante". At this point, they may bet additional "Bonuses", if they wish to. The dealer deals five cards to each player and five to himself. All cards are dealt one by one and "face-down", apart from the dealer's fifth card, which is "face-up". The players take their cards and compare their "hand" with the dealer's "face-up" card. At this stage, the players can opt to "Bet" or "Fold". If they choose to place a bet, they must place their cards face-down in front of the "Bonus" spot and then place an additional bet in the "Bet" spot, which must be exactly double the amount of the initial "Ante" bet. If the players decide to fold, they place their cards face-down in front of the "Bonus" spot, indicating they do not wish to continue. In that case, the dealer collects the players' cards along with the "Ante" bet and, if they have also made a "Bonus" bet, the dealer also collects the "Bonus". 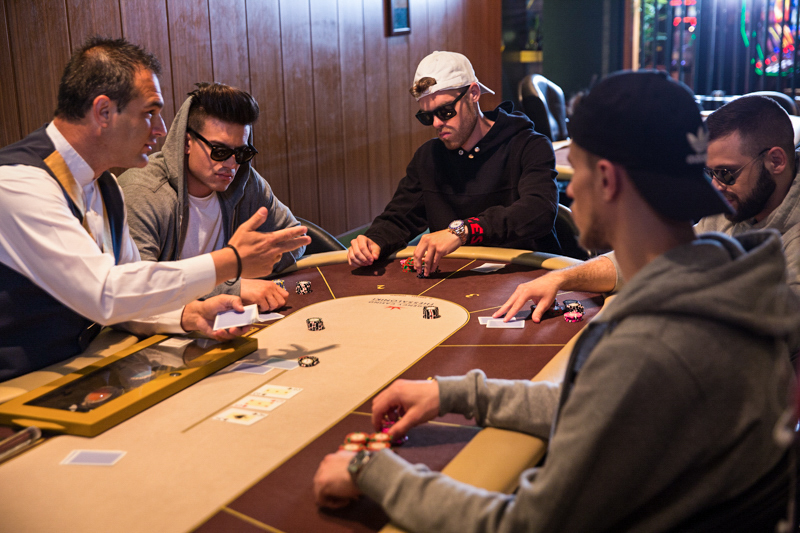 If they double their initial bet in order to take part in the game, the dealer opens his remaining four cards. 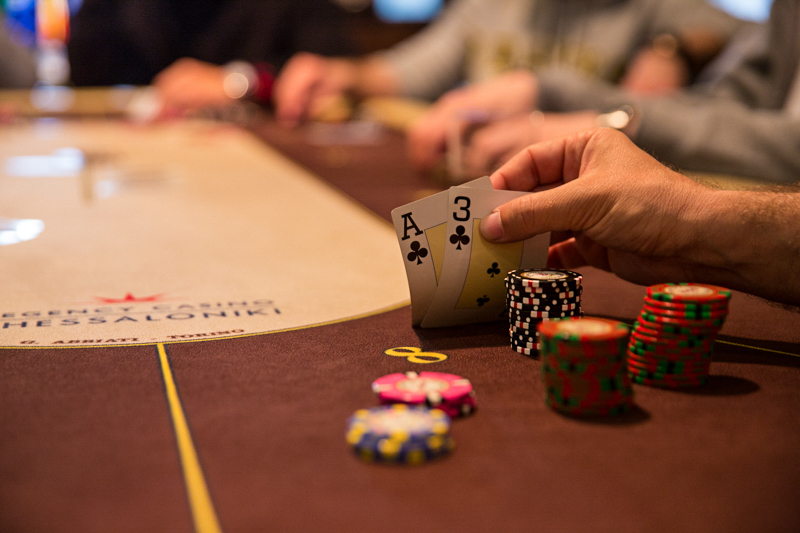 The dealer's "hand" stays in the game only if it includes an ace and a king or better. If the dealer's hand does not include any of these cards, he pays out the valid "Ante" bets equally. If the dealer's hand does include an ace and a king or better, then the dealer opens the players' cards one by one. Players who have lower cards than the dealer lose their "Ante" and "Bet" bets. Players who have higher ranking cards that the dealer are paid equally for the "Ante" bet, whereas for the "Bet" bet they collect the profits according to the respective payout odds. Regardless of whether the dealer has a "hand" or not, the "Bonus" bets win and are paid out based on the player's hand. Players cannot exchange cards, reveal their cards to each other or reveal disclose information about them. Upon any infringement of this rule, the player's "hand" is declared dead and his bets ("Ante" and "Bet") are withdrawn. Players must keep their cards on the table throughout the game. Players may play only one "hand" at a time. 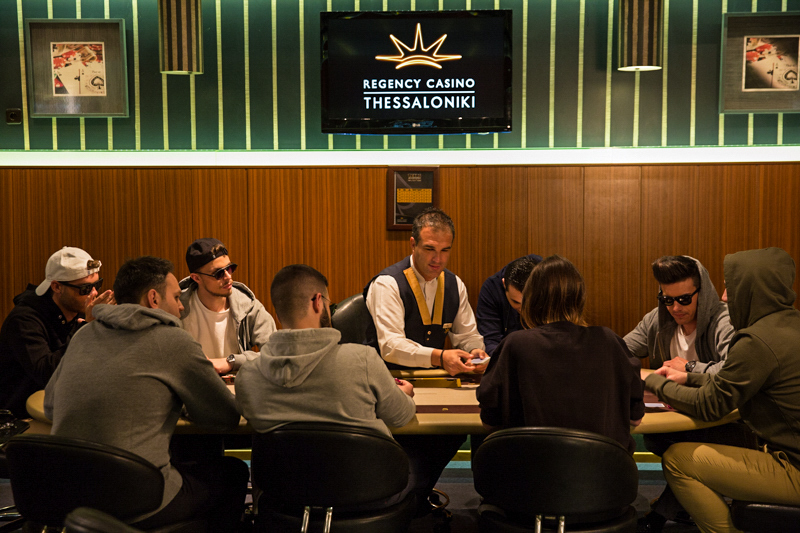 Every winning combination is paid out up to the maximum payment limit of the table (per player), specified by the house. If the dealer and the player have the same exact "hand", then there is a stand-off. The player is solely responsible for choosing the five cards for his hand.